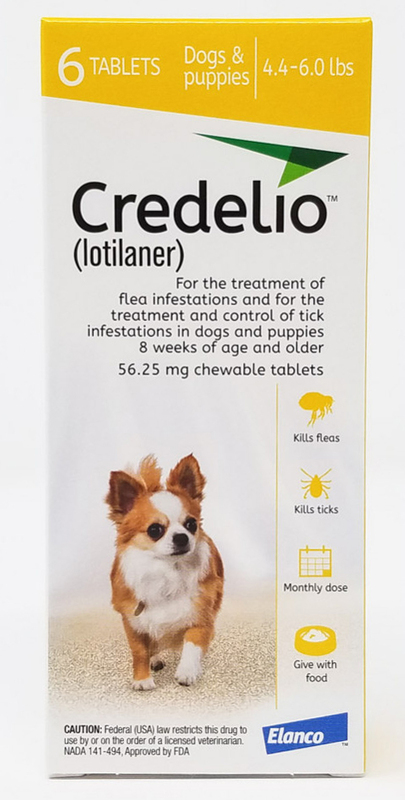 Credelio is a small, tasty tablet that combats ticks and fleas and makes your dog happy. Kills fleas and ticks and halts new flea and tick infestations. 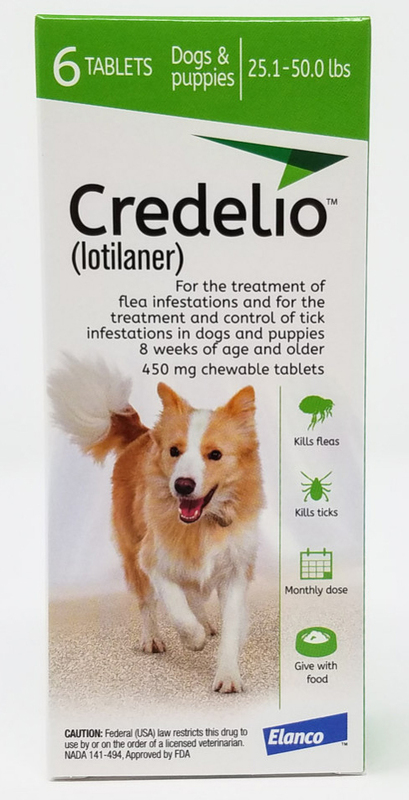 Credelio works within just 4 hours, and each month provides 100% monthly efficacy against fleas and more than 97% monthly efficacy against ticks. For all dogs and puppies 8 weeks or older, and 4.4 pounds or greater. Credelio is given orally once a month, with food, as directed by your veterinarian.